Golden State Warriors There are 105 products. Make sure everyone knows you're the greatest Golden State Warriors fan around! 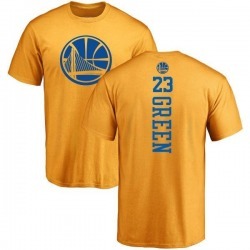 This Youth Kevin Durant Golden State Warriors Gold One Color Backer T-Shirt is just the Golden State Warriors item to do it. Make sure everyone knows you're the greatest Golden State Warriors fan around! 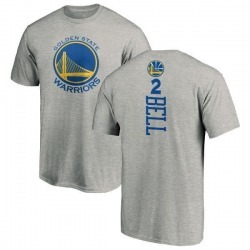 This Youth Jordan Bell Golden State Warriors Royal Backer T-Shirt is just the Golden State Warriors item to do it. Make sure everyone knows you're the greatest Golden State Warriors fan around! 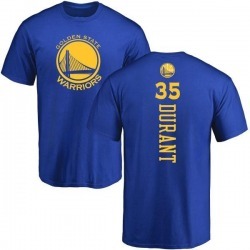 This Youth Kevin Durant Golden State Warriors Royal Backer T-Shirt is just the Golden State Warriors item to do it. Make sure everyone knows you're the greatest Golden State Warriors fan around! This Youth Kevin Durant Golden State Warriors Ash Backer T-Shirt is just the Golden State Warriors item to do it. Make sure everyone knows you're the greatest Golden State Warriors fan around! This Youth Jordan Bell Golden State Warriors Gold One Color Backer T-Shirt is just the Golden State Warriors item to do it. Make sure everyone knows you're the greatest Golden State Warriors fan around! 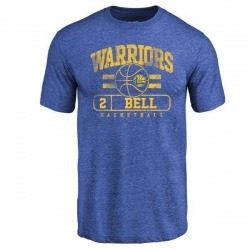 This Youth Jordan Bell Golden State Warriors Royal Baseline Tri-Blend T-Shirt is just the Golden State Warriors item to do it. Your die-hard Golden State Warriors dedication cannot be beat! 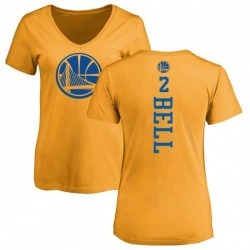 Let everyone know your pride is #1 by sporting Women's Jordan Bell Golden State Warriors Gold One Color Backer Slim-Fit V-Neck T-Shirt for game day. Sporting this truly unique look to the next game will definitely mark you has a huge fan!